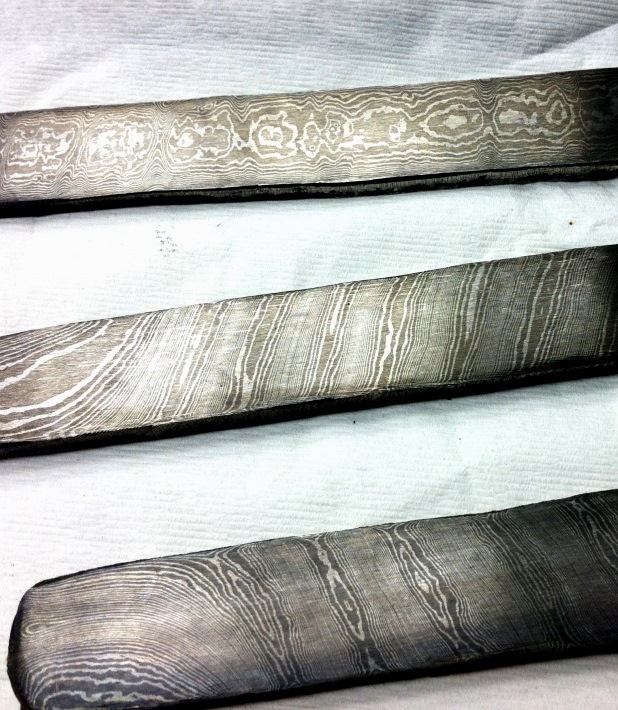 This three day class will cover the very basics of making pattern welded or “Damascus” steel. Material selection will be discussed along with basic metallurgy to ensure that the final products will be structurally sound with the boldest contrast possible. The students will be experimenting with basic pattern manipulation such as random, raindrop, twist and Ladder, W's and other simple manipulations. Necessary fundamentals such as material preparation, forge welding, power hammer technique and proper forge practices will be the focus of this class. Heat treating, polishing and etching will also be covered. Students should expect to leave with a few billets of Damascus ready to forge into knives or jewelry. While no forge welding experience is necessary, a level of comfort operating a power hammer and tolerance of heat and sparks will be. Students can expect to leave with up to 3 bars of material ready to use in others course or projects.